Think back to a boss you had that you didn’t like. What was it about them that bothered you? What leadership skills were they lacking? Did they ignore your suggestions? Did they task you with more work than was fair or right? Did they minimize your contributions and take the glory for themselves? Maybe they weren’t good at explaining what they needed you to do and were impatient with you or got frustrated or angry with you when you made mistakes? Odds are, if you’ve spent any time in the work force, you’ve either worked for, or come across someone who wasn’t a good leader. On the other side of the fence, you have the opposite type of boss… a great leader that clearly possesses the necessary skills to be effective in her/his role. Being a good leader is in a work place (or any situation, for that matter) is more than just bossing people around and having them do what you tell them to do. Yes, it does involve assigning tasks to people and making sure those tasks are completed, but being a good leader is much more than that, it takes leadership skills. But what exactly are leadership skills? 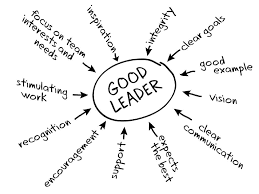 Well in order to understand leadership skills it helps to have a good grasp on the two main types of skills first. Skills can generally be broken down into two categories, hard skills and soft skills. Knowing how to do your job and mastering the skills you need in order to perform that job are what are called hard skills. You learn these through training, education and experience. In contrast, soft skills are usually interpersonal skills…or people skills. These can include things like listening skills and communication skills, to name a few. In most cases (and for 99% of positions… not just leadership positions), companies look to hire individuals who have a certain combination of hard and soft skills that the company deems necessary to be effective in the job. So how do hard and soft skills apply to leadership positions? It is no different when hiring for leadership positions. The company is looking for the individual that best exemplifies the necessary leadership skills that will allow her/him to be a successful leader. In other words, there is a set of hard AND soft skills that are most desirable for candidates interviewing for leadership positions. If you want to be hired for a leadership position, you need to identify what these leadership skills are and ensure that you are able to demonstrate them to your interviewer. Don’t worry, we’ve pulled together a list of the top leadership skills hiring managers look for! 3. What do you already know about our company (you may assume everyone has Googled your company’s name – if they haven’t, you probably don’t want them) and what else would you like to know? Is there anything that you really like, or anything that gives you pause? 5. Tell me about a recent time when you had a substantial disagreement with your direct supervisor/college professor. How was it resolved? Now that you have the benefit of hindsight, in retrospect, who was right? Tell me about a business success you’re really proud of. What do you think were some of the components that led to the success? Was it a team effort? Could you have done it alone? 9. If we talked to your last supervisor, what do you think they would say? What would they say about your outstanding qualities? What shortcomings would they probably point out? 10. You’ve been in the job market for a while now – where else have you applied and where else did you get past the front door? How do we compare? Where does this opportunity rank in your mind? Where are we on a scale of 1 to 10? What would it take for us to be a 10?